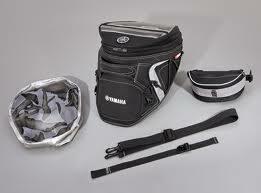 Super Tenere Tank Bag kit features anti-slip bottom and strong mounting magnets making it easy to mount and detach. Includes shoulder strap, map holder, rain cover, and detachable fanny-pack bag for small items. 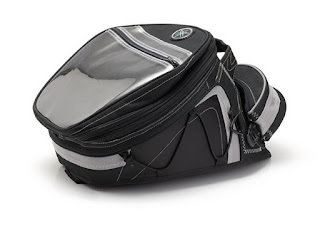 Expandable volume from 20 to 25 litres.